In May 1996, 23 men and woman climbers on Mount Everest were caught in a ferocious blizzard. 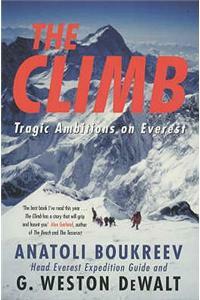 Alone and climbing blind, Anatoli Boukreev rescued a number of climbers from certain death. This account includes the transcript of the Mountain Madness debriefing and de Walt's response to Jon Krakauer.